Ogden, UT—Scholars working on the Joseph Smith papers believe that they have finally cracked a code that has perplexed generations of church history researchers, and it was all because of text messaging. In their article "Cracking the Joseph Smith Bro Code," researchers Dawn Dixon Pratt and Oliver Winslow Young document their efforts to decipher a series of letters at the very end of a number of correspondences between Joseph and other key historical figures. "It is common knowledge that for a time Joseph used code names to protect early church members, but this code seemed different," said researchers Pratt and Young. Try as they might, researchers could not figure out what those letters meant. Then, earlier this year, a breakthrough. Dr. Pratt noticed rather similar letters in her 16 year-old daughter's text messages. "I was trying to figure out what my daughter was saying," explained Pratt, "when I found an article that became my proverbial Rosetta stone." 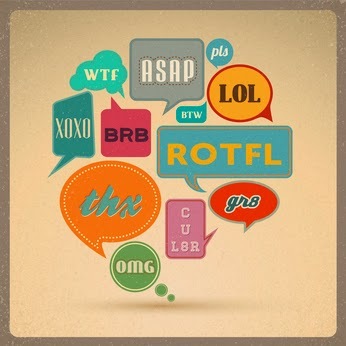 The article explained some of the arcane texting acronyms contemporary adolescents use such as KPC or "keeping parents clueless." Pratt arrived at work at her office in the University of Utah at Tooele's Mormon History and Cultural Studies program to discuss her findings with Dr. Young. "Well, after a good laugh, a lengthy discussion of adolescent behavior and attitude adjustment, and a brief discussion about appropriate use and hiding evidence of corporeal punishment, Dr. Young joked that maybe using a sort of early text messaging code was what Joseph was doing," said Pratt. Though nearly dismissed at the time, after a few moments it became clear that that is exactly what Joseph and others were doing. "We have identified over 142 unique combinations as part of what we call 'Joseph's Bro Code,'" said an exuberant Young. He elaborated that "this will change the face of our understanding of this period forever." Some of the most used terms include PWIR or "polygamous wife in room," EMIL for "Emma is listening," MMIH meaning "meet me in hiding" and LPRHI for "Let Porter Rockwell Handle It." A common code at the end of letters that talk about the patience and faith needed to work with certain early male church members end with the letters SHTE, which researchers believe means "Send Him To England." Pratt and Young explained that "deciphering this code has shed new light on the trials of that period." They went on to say that "one code that seems to register some of that time’s frustration and anxiety about the trials of plural marriage is DAWFS which seems to mean 'Dang Angel with Flaming Sword.'" Note: If you have other acronyms that may or may not have been part of Joseph's Bro Code, please mention them in the comments. Some researchers believe that Emma and other early church women may have also had a unique code. If you believe you know some of their code, include it in the comments as well.